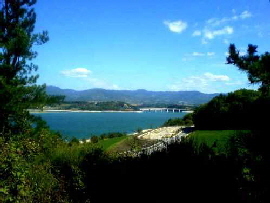 Bilancino is the largest artificial lake in Tuscany. 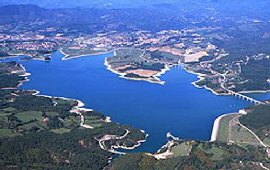 It has a surface of 5 kmq and serves to increase the water supply of the Florence area. It is a dam built against flood danger with the features of a natural lake. There are many activities you can do in it's clean waters such as: swimming, canoeing, windsurfing, trekking and mountain biking. Lake Bilancino is located in the uncontaminated natural environment of the Mugello valley, full of cultural and artistic beauties.